€1550 per person with 1 night at deluxe desert camp. A 9 nights/10 days circular tour starting from Casablanca, through the North of Morocco and the desert, before looping up to the High Atlas mountains and Marrakech. 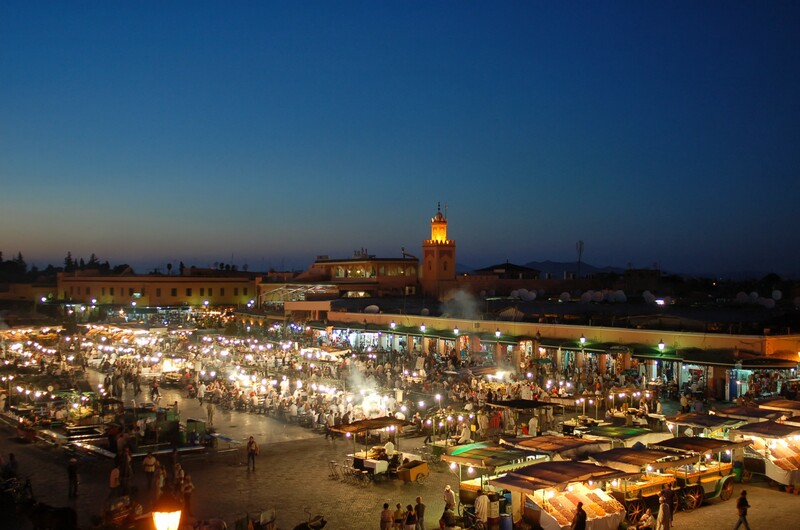 Experience the vibrancy of Morocco’s beguiling Imperial Cities and the famous blue citadel of Chefchaouen; camp overnight in the Sahara desert; lodge en-route to Marrakech and the mountains in one of Morocco’s lush garden oases; and end the journey in the UNESCO-listed Marrakech medina. This private tour takes in six of Morocco’s nine UNESCO World Heritage Sites, with the option to visit a seventh (Essaouira) as a day trip from Marrakech. Click on the images to enlarge or request more. Visit to Rabat en-route to Chefchaouen from Casablanca. Rabat is the capital of the Kingdom of Morocco and the seat of its government. Emerging from the boulevards of the Ville Nouvelle of Rabat you will discover the ruins of the Citadel of Challah, once the thriving walled Roman port city of Sala Colonia, which was abandoned in 1154 in favor of Sale across the other side of the river. Tour Hassan mosque is the city’s most famous sight. 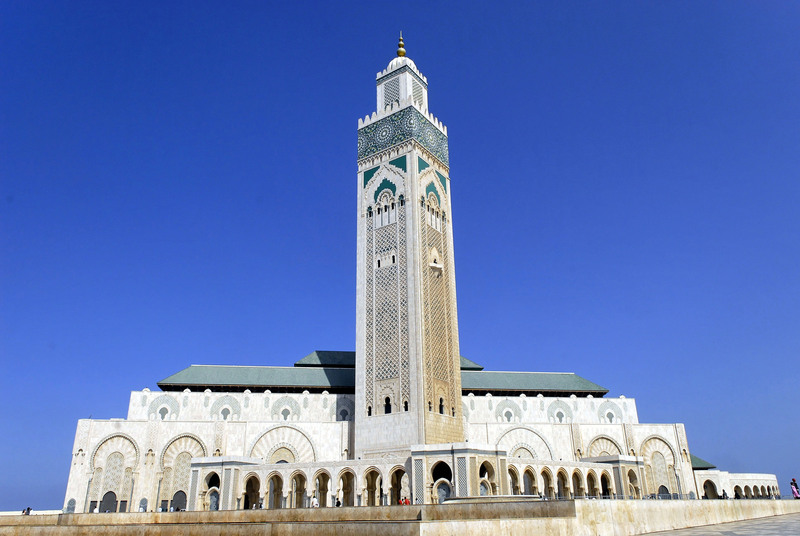 The massive minaret of Hassan dates back to 1195 and towers over Rabat. The mosque itself was never entirely completed and was largely destroyed in an earthquake in 1755. The Mohammed V Mausoleum is one of the greatest monuments of modern Morocco, which was inaugurated in 1967. The deceased king lies entombed in white onyx, surrounded by royal guards. Your drive through Rabat will include a visit of the Kasbah des Oudayas, a picturesque place to take a stroll, see some sights and admire the interesting scenery. The Kasbah was the Almohad citadel of medieval Rabat and is guarded by an impressive arched gate built around 1195. Inside the Kasbah is a palace and Andalusian gardens, as well as a broad terrace, where you can enjoy the views. Afterwards, continue by road to Chefchaouen. Upon your arrival, check in at your Riad and spend the rest of the afternoon at leisure. Enjoy your morning at leisure in the blue citadel of Chefchaouen. Depart for Fes early afternoon. Check-in at your Riad on arrival. 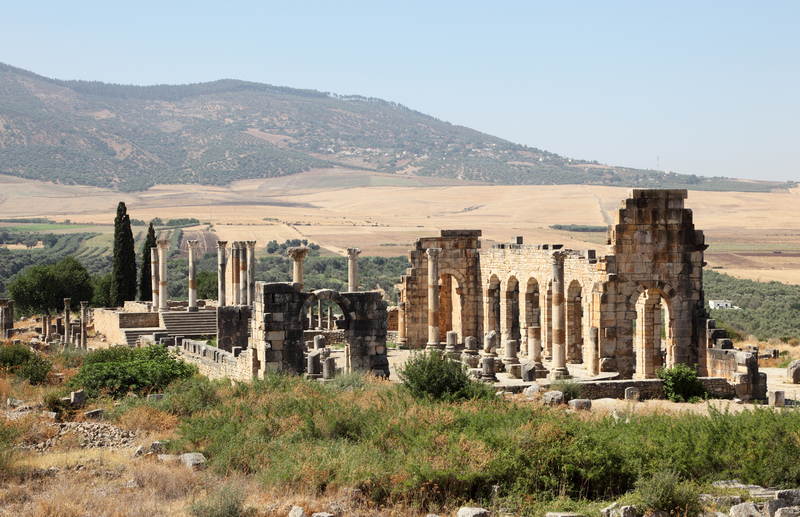 Volubilis (a UNESCO World Heritage Site) is home to the largest and most well-preserved Roman ruins in Morocco. With its triumphal arches and basilicas, the skyline is peppered with examples of Roman architecture. However, the greatest treasures of Volubilis are the superb mosaic floors, which have been excellently preserved and left in situ. Three outstanding examples include Orpheus charming animals with his lyre, nine dolphins signifying good luck and a portrait of Amphitrite in a chariot. From Volubilis to Meknes (also a UNESCO World Heritage Site). 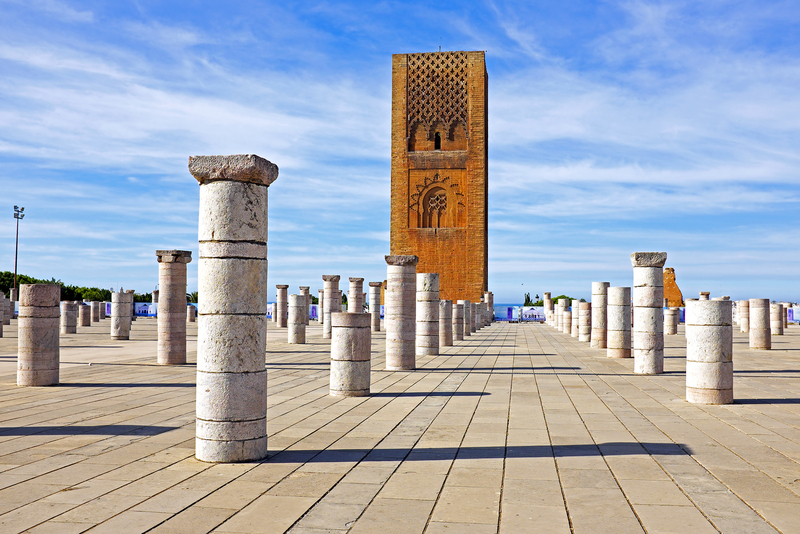 In Meknes, the impressive monuments recall the splendour of a city first built in the 17th century by the powerful sultan Moulay Ismail to rival the court of his contemporary, Louis XIV of France. During your visit to Meknes you will see the monumental Bab Mansour gateway, considered to be one of the finest of the great gates of Morocco, the Granaries and the Royal Stables, which were built to accommodate some 12,000 horses. You may also see Moulay Ismail’s Mausoleum, one of the few shrines in Morocco that can be visited by non-Muslims. Return to Fes and rest of day at leisure. Day at leisure in the medina of Fes. 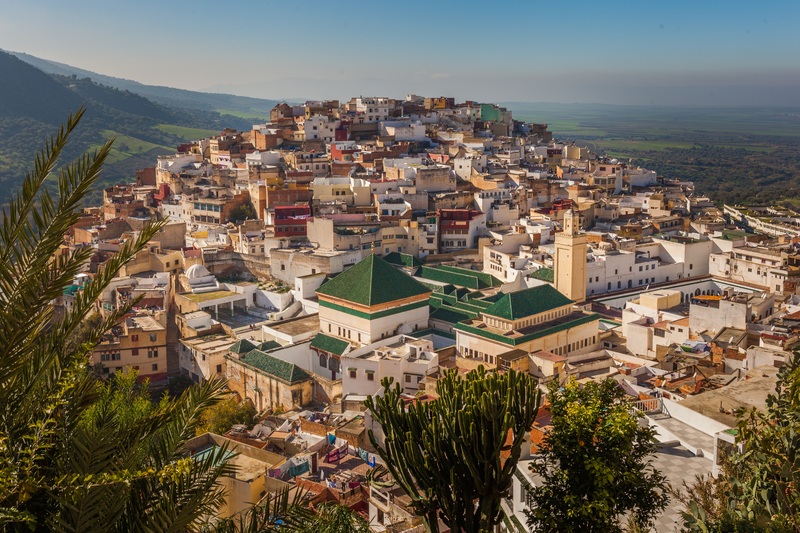 The ancient Fes medina is purported to be the largest, urban car-free zone in the world and listed as a UNESCO World Heritage Site. 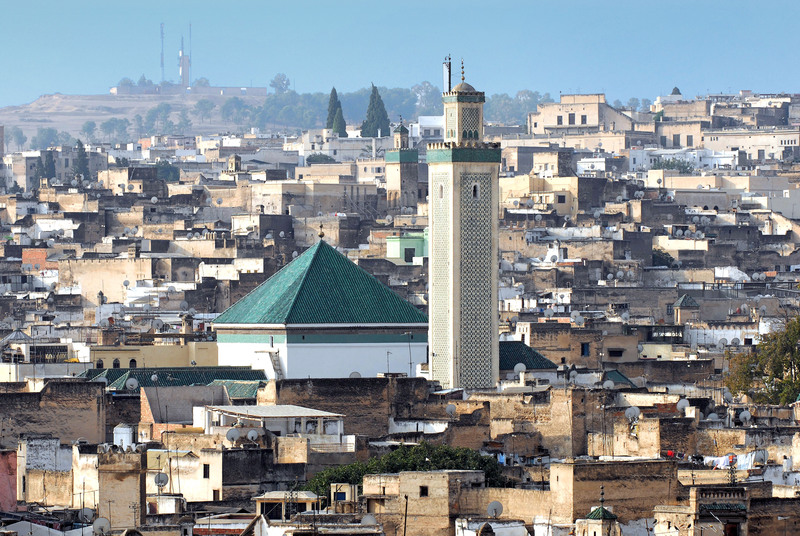 Fes has significant religious importance in Morocco as it was the seat of the founding Muslim dynasty. 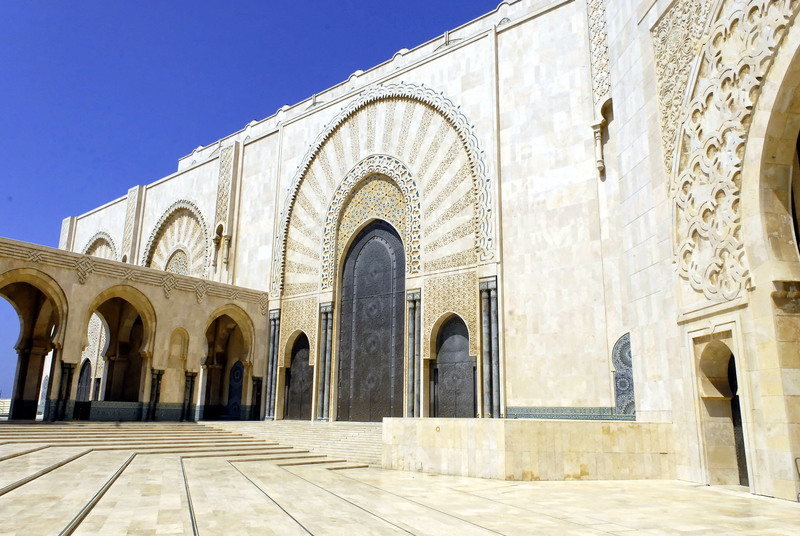 It is also the seat of the al-Karaouine University, which has its origins in the 9th Century; one of the oldest universities in the world, it was once one of the leading intellectual centres of the Mediterranean and Arab world. The medina also offers an insight into traditional Moroccan craft-working and Moorish architecture (influenced by emigration from the Iberian peninsula). 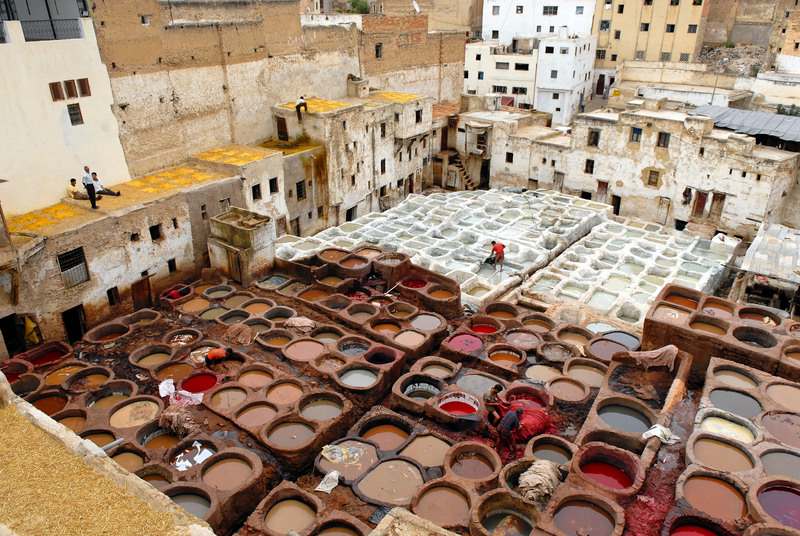 There are the leather tanneries which may be photographed, and numerous other craft-working districts in the medina. You may be able to visit the Medersas Bou Inania and el Attarin (14th Century) but the other religious buildings are not open to non-Muslims. Early departure for the day’s journey to the desert frontier. Gaining altitude, via part of Morocco’s cedar forest region, cross the Middle Atlas mountains and descend via the Ziz Gorge and river. Drive through the Tafilalt region (which the Ziz irrigates) of verdant date palms bordering the Sahara. This region, of historical importance, once marked the crossroads of the West African caravan routes, and is the origin of the establishment of the Alaouite dynasty (17th Century), the dynasty that still holds power in Morocco today. You will meet your camel caravan at the end of the road and make the 1 hour trek* to reach your desert camp for the night. Enjoy sunset at the dunes and dine before enjoying the campfire and star-gazing. *Alternatively, request your driver to take you to camp with the jeep. Leaving the Sahara desert behind, travel westwards to visit the foothills of the Atlas mountains and the famous natural Gorges, the Todra and Dades Gorges. Follow the direction of the Dades River west to reach the palm oasis of Skoura, with the Atlas mountains still visible to the north. Overnight at Skoura in one of its tranquil lodges. Visit some of the south of Morocco’s most intriguing kasbah monuments, en-route to Marrakech, before crossing the High Atlas mountains. The Kasbah Amridil at Skoura, the UNESCO World Heritage Site of Ait Ben Haddou, and the Telouet Kasbah. Enjoy the patchwork of Berber villages in the river valleys in this region and the contrast of colours as the scenery changes; from arid pre-Saharan to alpine to farmland and olive groves. Cross the mountains at the Tichka Pass and gradually descend to the plain of Marrakech, expecting to arrive late afternoon. Overnight at a riad in the medina. Day at leisure for Marrakech and its sights. Optional activities would be a Moroccan cookery course at a cookery school and/or a traditional Moroccan ‘hammam’ (bathing/cleansing ritual in a heated room). Visit the Maison de la Photographie, the Musee des Confluences (next to the Dar el Bacha), the Bahia Palace (19th Century) and le Jardin Secret. The afternoon can be spent in the ‘souks’ (the marketplace for Moroccan crafts such as leather, carpets, pottery and spices) or at the botanical Jardins Majorelle in the new town. The gardens at La Mamounia are also noteworthy. If you want to get out of town, go to the Anima Garden on the Ourika Road. The driver and vehicle are available today. Possible excursions away from Marrakech would be to Essaouira on the Atlantic Coast (6 hours round-journey), or to the foothills of the High Atlas mountains (via an animal rescue shelter, up to 5 hours round-journey). The cost of meals/drinks/entry visits are not included in the tour package. Transfer to Marrakech airport for departing flight. *Transfer to Casablanca airport can also be arranged (at additional cost). special dietary and other requests catered for.